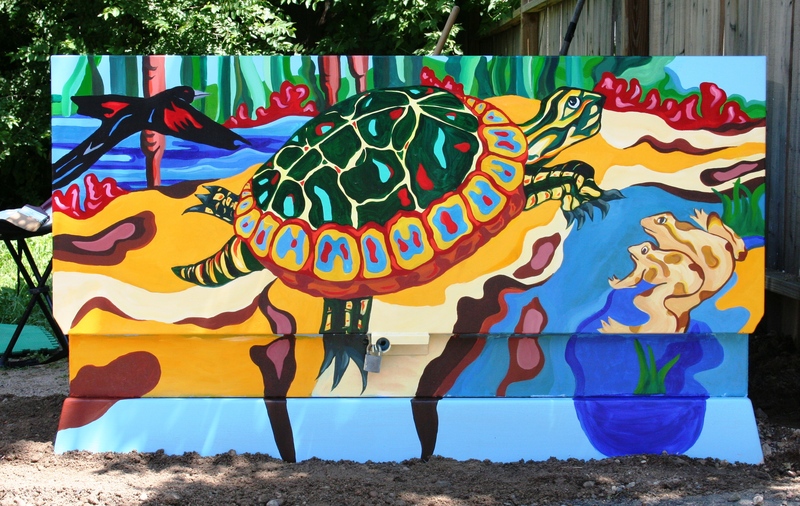 This nationally recognized project has significantly reduced random tagging of utility boxes with the added benefit of beautifying the city. Having spent much time painting and talking to the pubic I can say that this project enjoys a 100% approval rating. 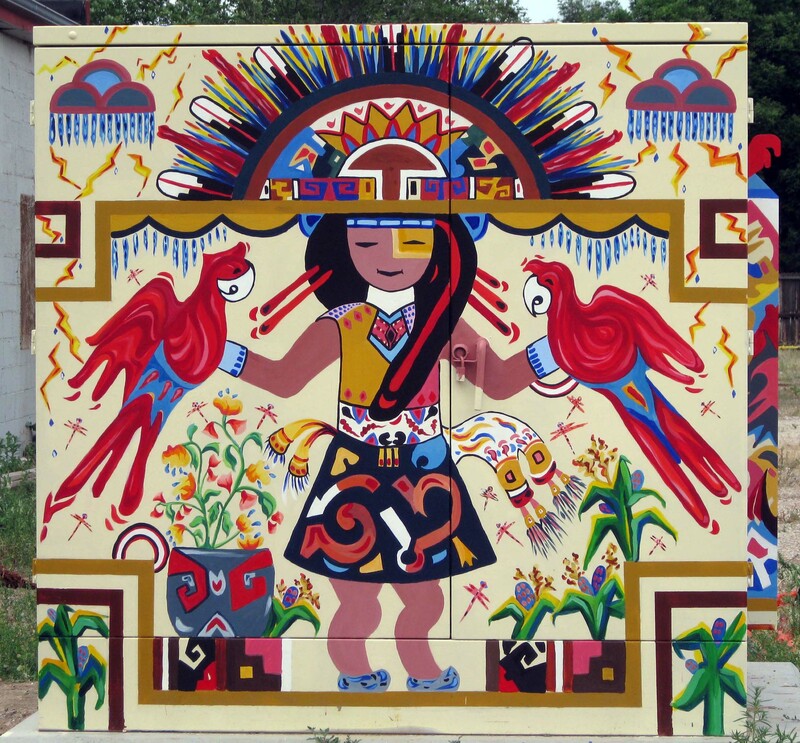 As of 2011 there are approximately 90 painted boxes throughout town. 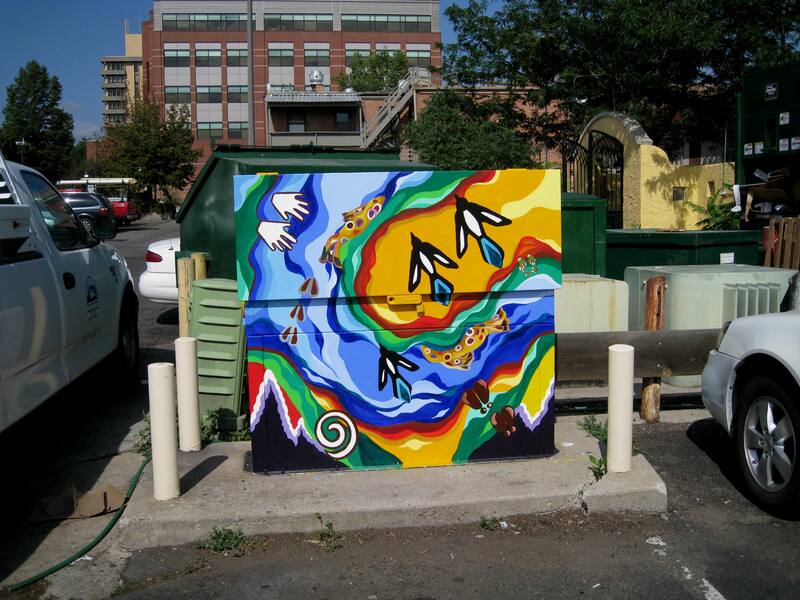 My 2011 project to paint a box in front of the new Fort Collins Discovery museum was delayed by construction and I will complete it in the spring of 2012. Check out my posts for more pictures and the stories behind the murals.